Does anyone still use “the net” any more when describing the Internet? You can learn about the terminology here in a short piece that describes the difference between the Internet and WWW. In my recent review of seismic and well logs I’ve been on the look out for reflection seismic and digital well log data. I’ve been surprised to actually find some on the web. Please note that there are excellent resources one can purchase on DVD from which research groups as CREWES from the SEG. Personally I am grateful for such resources being shared. In addition there are numerous sites on the web one can find decently documented datasets. Some are listed below. 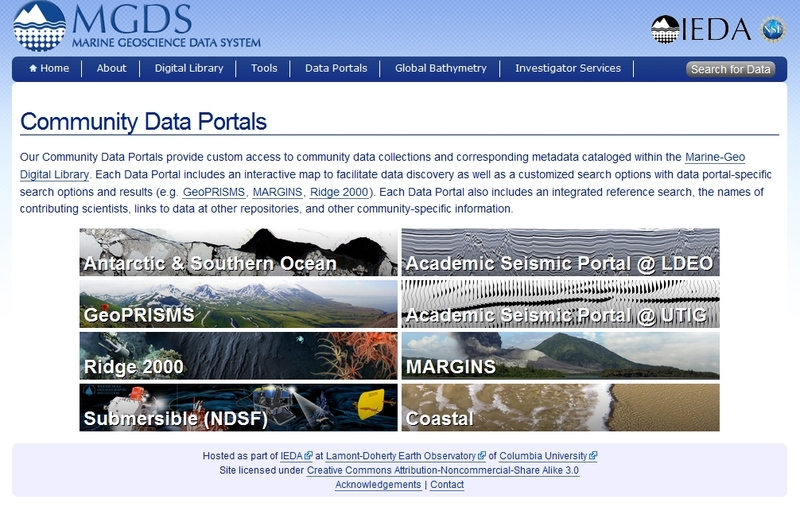 There are a variety of portals that provide well log (in .las format) and seismic data a few are listed below. NL Olie-en Gasportaal is excellent for wireline log datasets and located here. OpendTect has an excellent “Share Seismic Data” site. You can find this resource here. The IODP (International Ocean Discovery Program” Log Database can be found here. The IODP main site is located here. I have personally found the seismic data much more challenging to actually locate. The Marine Geoscience Data System for the IEDA can be found here. Good luck. Please feel free to post any other sites in the comments. When in London–an informal list of cool things. I enjoy London greatly. When visiting you might consider the following places to visit. These are listed in no particular order. Siberian craters–Explosive release of Methane. In following the excellent reporting of the recently observed craters that have formed in Siberia, I am convinced that these were formed by explosive release of Methane gas. If you have been following these reports, in my opinion, the best reporting has been in the Siberian Times. The first report is here and includes excellent pictures. I agree completely with the expert Andrey Plekhanov quoted in this first report. Because of production activities in the Yamalo-Nenets Autonomous Region, some 30 kilometers from the Bovanenkovo gas field, changes in this system as a result of gas production might be a possibility, although this is difficult to determine without more detailed information. A youtube video of the site, collected by Russian scientists, can be seen here -> Siberian crater. A second news report can be viewed here. There is a sense in this article that methane clathrate might be related to this crater formation. You can review methane clathrate definitions here. A summary specific the oceans can be found here. These should not be confused with cold seeps. A scientific paper that describes explosive release of such clathrates, following the last ice age, is located here–this might be behind a fee-wall; just google until you find something similar, these terms will get you started. An open source link to the abstract, including the authors contact information can be found at this Harvard University site. Bottom line–the structures with respect to crater topology are identical with the Siberian craters. Unsurprisingly these crater structures were hinted at in bathymetric charts from 1954 and more a more detailed translated report completed during the Soviet Union era. The world’s largest crater like structures have been documented offshore of New Zealand and are described here. All these observations lead to the question–how much Methane is being released by oceanic and land systems from geological partition of the earth system? Here is a cool site showing work being completed in the East Siberian Arctic Ocean. This link has an interesting plot of the atmospheric methane concentration. There are several atmospheric methane gas spikes, these are very interesting to consider. NASA methane monitoring is described in this press release. Methane science is described here, along with budget cuts being enacted. The NOAA Global Monitoring Division is described here. The global surface measurements are well presented here, available in ArcGIS format also. An interactive mapping tool is presented here. Methane hydrates are commonly found in sub-oceanic settings. A possible link with the Deepwater Horizon tragedy was proposed and is documented here. Hope you are having a great summer–crazy busy. 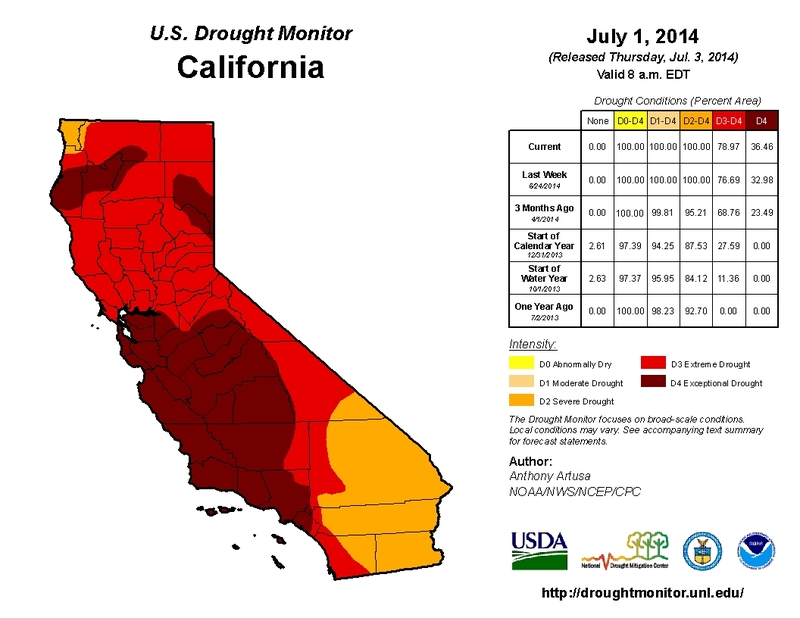 U. S. Drought Monitor for California–most of the state is in D3-D4 drought conditions. Geophysics seems to be an important component to the answer for most of the energy problems of the world. This has been a very busy winter, spring and summer for me with four weeks of continuous travel just ending. Two of these weeks included activities in and around Yellowstone National Park and the remainder in California. In Yellowstone the snow pack and water conditions are favorable, it reminded me of the 1970’s with high rivers and a gradual melt of snow that would continue through July. While in California I took an in-depth tour of this fascinating facility–The Geysers in northern California. Calpine runs the facility; the tour was really excellent. Here is their corporate web site. During the tour is was clear that the resource had been impacted by management decisions in the 1980’s (to rapidly increase production without managing formation pressures and conditions carefully). This was one of the most interesting parts of the tour for me personally. Through innovative use of grey-water some production was restored, while some permanently lost. Geothermal technologies and resources are well described by this DOE link. It was clear that the state of California is in desperate straits regarding drought conditions present throughout the entire state. The closed record policy of California, with respect to water wells, is rather unique and causing some issues. The Sacramento Bee article can be accessed here. Emergency regulations were passed on July 2 and are described here. It was surprisingly to see reservoirs so low that grass was growing in the bottom of these resources. The Huff-post has an entire web portal for the California Drought that can be accessed at this link. The USGS also has an excellent summary of resources related to the California Drought, including Webcams. These data and resources can be accessed at this link. 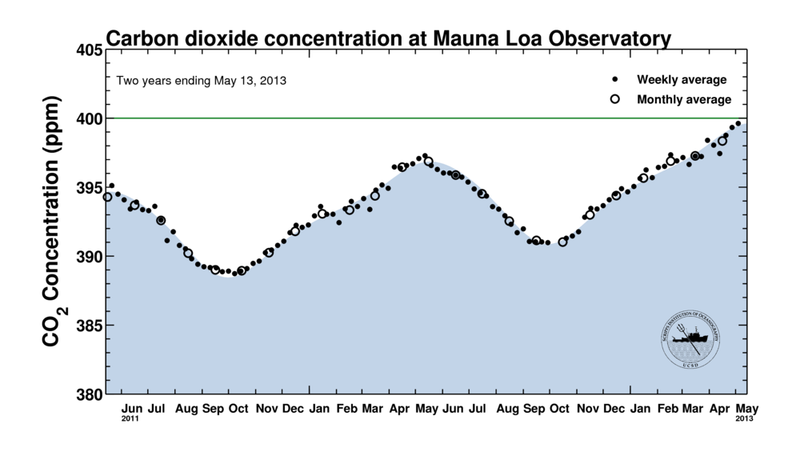 As noted in an earlier blog the earth system has exceeded 400 ppm CO2 (just now we are at 401 ppm; but check the link to see what the atmospheric concentration is when you read this). 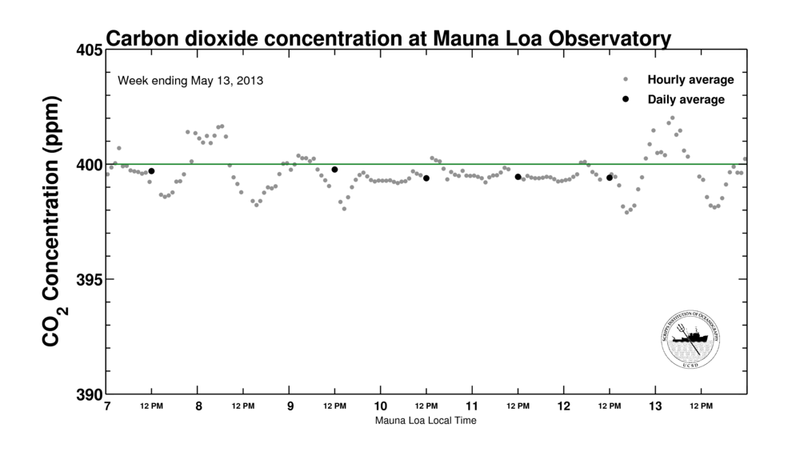 This CO2 level is simply terrible news. A variety of feed-back mechanisms in the Gaia system are engaging. Stay tuned for updates! Enjoy the summer. Stay safe. Bacteria–another reason to stop everything right now and think for a moment. PBS has aired an excellent program “Hunting the Nightmare Bacteria”, which you can watch entirely at this URL. Stop everything and watch this one hour program, then meditate on what you saw. I was thinking about this for many hours following the program. I mean, really thinking about what was presented; It’s a complicated story. The Good: The courage of the people involved is inspiring. The Bad and The Ugly: The reaction of business and government is problematical. Ignorance can extract a terrible price. The price on society has proven to be cumulative over the time period that ignorance and greed have been in charge of policy related to important topics such as this. Living in a world where these dangerous bacteria are untreatable is not where you want to pitch your tent in “camp rest of your life”. As a younger man I worked in some very remote, poor, and far away regions of the world. I remember seeing people with diseases that could be treated in a first or second world country, but where deadly and untreatable, in the countries I was working. This included seeing people with, well, it’s hard to think about even now, think of a horror film, but with real people. In those places everyone dies, there is no hope. You can learn much more by watching these other videos. They begin in a very approachable format and become more complicated as you move down the list. It is no surprise that this danger has been warned about since the development of the first true wonder drugs in the 1940’s. As usual in the areas of public health the US is not well organized. The response of Israel in 2007 to an outbreak mentioned in the PBS program is interesting. I found it interesting the information missing in the PBS piece, especially the progression of superbugs through India and Pakistan and the strong response to superbugs mentioned in the second to last video link below. These are all excellent, I hope you find time to watch them. Be sure to talk with other people about this important topic. Initial overview–Virginia Commonwealth University describes what super bugs are. Brief and to the point. Brain warm up– High school science teacher and LLNL scientist explain what is going on. Free T-shirts! What a great event, wish I could have attended. Take is up a notch — American Society for Microbiology. Drug resistant bacteria in the wild, source–Seagulls in Miami. In my opinion : One of the best presentations about this important subject. Two well known public health officials (neither from the US) describe what is happening with these superbugs and correct public health responses. They also identify global dangers and concerns during their excellent discussion. This is an excellent panel presentation. Very understandable, includes interesting questions from the listening audience. Final world–Dr. Stuart B. Levy, global treasure and someone who has actively warned about this danger for almost 40 years! What a scientist. In my own work I have talked with scientists who had the correct answers 40 or 50 years before anyone appreciated the questions, and am inspired by such individuals; this is a fascinating interview with Dr. Levy and well presented. You can learn more at the Better Health Channel, Wiki (of course), CDC, more from the CDC, and an excellent 2008 story from The New Yorker. It amazes me that while various diseases that occur in Horses must be reported immediately to Health authorities, there is no such rules for national reporting of these dangerous superbugs. This must be changed. People have been using oil for a long time. These links are useful in discussing hydrocarbon based energy. If you know of additional links please let me know in the comments. These are focused in hydrocarbon energy. Other links at this site look at geothermal resources. BP Energy Outlook 2030. Be sure to get the .pptx and database files. Report is available in English, Chinese and Russian languages at this URL. The database files are very interesting and fun to look at in more detail. Here is the Energy Outlook 2030 link. BP 2012 in Review. This has fantastic sources files with production data for individual countries. Be sure to check the report and .pptx file. To download the datasets, select the Downloads option on the left, or follow this link. Here is the 2012 in Review link. The United States Energy Information Administration (EIA) site is useful for presentation materials. This link goes to the total energy Data site, very useful to download data tables. The EIA site has a very useful listing of countries, including a interactive global map. This is great for reviewing energy related details of a particular country. Shell Energy Scenarios to 2050 can be found at this link. There are English, Arabic, Bulgarian, Chinese, French, Spanish and Russian versions of the scenario reports available for download. The Outlook for Energy to 2040 ExxonMobil site can be found at this link. The ExxonMobil Energy Outlook view to 2040 Data Center link can be found here. There are interesting data tables and .pptx files to review. The United States Geological Survey (USGS) Energy Resources Program, World Petroleum Assessment can be found at this link. USGS World Geological Maps (including all of their hydrocarbon assessment DVDs with ArcGIS geodatabases) can be found at this link. Have fun and enjoy these! This is the site to check. Why this is a big deal–the naked perspective. Why this is a big deal–Al’s journal. Background about the Earth’s atmosphere–Wiki. 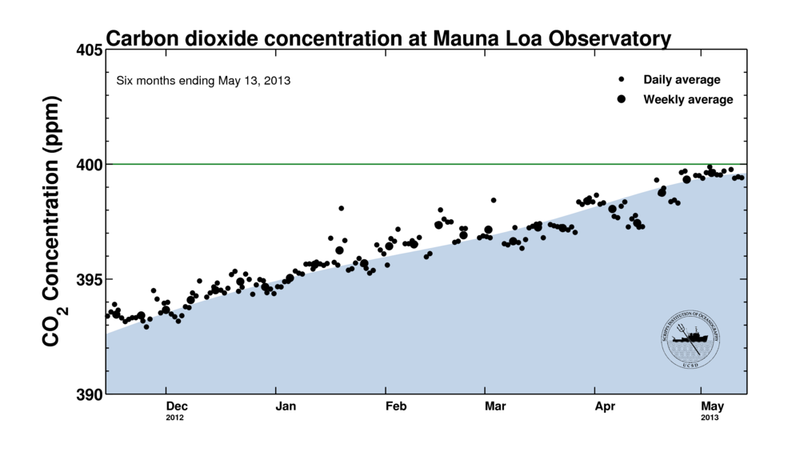 High resolution recent CO2 and temperature variation. 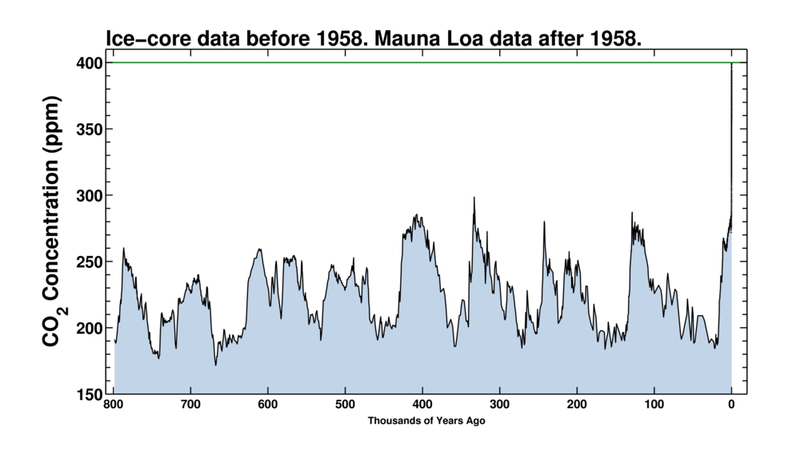 CO2 variation over geological time. Given the feed back mechanisms within the climatic system we, all of humanity, are destined to live in interesting times. I am very concerned about this situation. When all else fails, read The Stanford Daily. Happy Spring, Geologists Day, and Yuri’s Day. I hope you are enjoying the spring. Apologies for the lack of blog activity. Geophysics is on fire! This has been an extra activity overload for me lately. 7-day work weeks are the new normal now. However, in goofing off, I found this original dedication of Geologist’s Day on the internets. This was probably the best cultural thing that happened on Earth during March 31st, 1966. 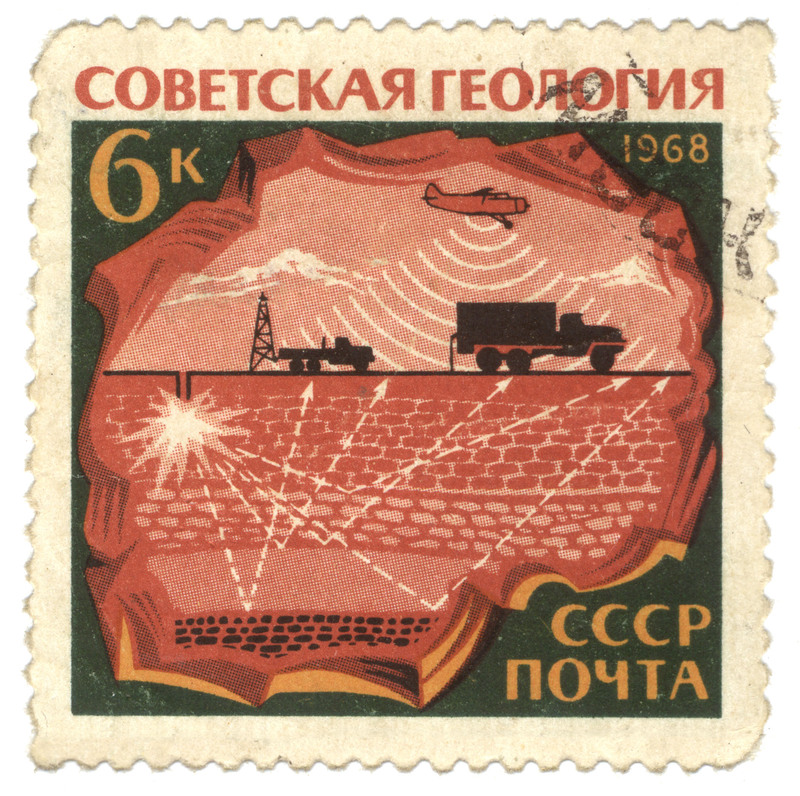 If you are looking at that thinking; there cannot possibly be anything cooler…..wait, check out this stamp from the USSR. Oh yeah, active and passive geophysical methods, airborne and ground acquisitions systems, start the t-shirt presses. This stamp has them all. You must be thinking; there cannot possibly be anything cooler…..wait, how about a 1964 ballet called “The Geologists”. 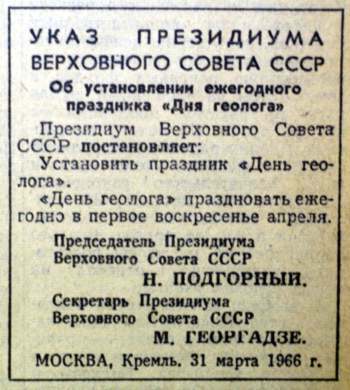 Yes, Nikolai Karentnikov wrote a ballet called “The Geologists”, possibly the GREATEST BALLET EVER WRITTEN, (given no one has written a ballet titled “The Geophysicists”). Check the link to wiki for details. I have never found a sound track from this ballet. There you have it, Geologist’s Day original announcement, a ballet sound track to search the internets for, and possibly the coolest stamp ever made. Truly we live in the best of all times in the best of all possible worlds. Radiometric airborne surveying, some resources. A nice on-line text book can be found here. Brief review by Victorian Resources Online. Radiometrics–OpenEI (Open Energy Info) site. Half page summary–Geoscience Australia. Even administrators might understand this. RBG combinations of normally collected data channels from (where else) Australia. International Space Station videos of cool stuff–the best collection. In reviewing electromagnetic noise sources I watched some very cool videos from the International Space Station. I have no idea what goes on up there, but I like this stuff. Change that electron density! Flux it up Earth System! Enjoy. You might want to turn off your sounds–there is no sound in space! Need music? Here you go. Many of these repeat the same sequences, but I enjoyed them all.